"Award-winning comedian Lara A King likes to see the funny side. When she got arrested and thrown into jail everyone said 'you'll get some great material out of that...'. Let's see if she did. Her tale is often touching, sometimes harrowing - but is it funny? 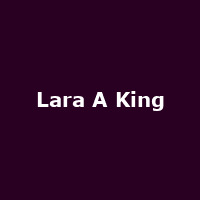 Can Lara A King - 'champion of the conversational quality of comedy', use her 'natural charm' and her 'fabulous demeanour' to deliver a 'delightful performance' of 'outstanding, side-splittingly funny; relatable comedy' and turn this tragedy into something 'witty, charming and very funny - a real gem of a show'? Only you can decide.